Create an enduring legacy that stays with your parish and honors your faith. What is Christ the King Legacy Society? The Christ the King Legacy Society honors those who have named CTK Parish or School as a beneficiary in their will or trust, retirement account, charitable gift annuity, charitable trust, life insurance policy. It also honors those who make a cash donation dedicated to the future of Christ the King. Any donation you make to CTK through YOUR LEGACY, stays with Christ the King. Bequests to the church are charitable contributions that could be deducted from the estate’s income tax return or its estate tax return (if applicable). IRAs and similar assets that do not receive a stepped up basis at death can be donated to charity at death through a beneficiary designation and no income tax will be paid by the estate or the heirs. For individuals with taxable estates in excess of $4 million (Illinois estate tax) or couples with taxable estates in excess of $8 million, a variety of additional charitable planning opportunities exist that can reduce the effective cost of making donations. How easy is it to leave a legacy to CTK? It’s very simple to name CTK in a will. Many charitable organizations provide sample will clauses or give the appropriate name to make this easier for donors. Our official name is CHRIST THE KING PARISH OF SPRINGFIELD, ILLINOIS. CTK keeps and controls all the money/donations in CTK’s local bank account, and CTK has control over CTK’s savings account with the diocese. Therefore, any donation you make to CTK through YOUR LEGACY, stays with Christ the King. 2 Corinthians 9:6: But this I say, He which sows sparingly shall reap also sparingly; and he which sows bountifully shall reap also bountifully. There are several ways you can support Christ the King Parish and School. Charitable donations, especially ones grounded in helping others and the Church, are part of the foundation of our great faith. Thank you for considering Christ the King in your donations and legacy, as creating an enduring legacy that honors your church and our faith is something every generation now and in the future will truly appreciate. The following are some of the ways you may be able to contribute, leaving a legacy in your name for the future of our Church and our Faith. A charitable bequest offers a flexible, thoughtful way to remember the Church. After providing for family and loved ones, prayerfully consider a bequest to support your parish. A bequest of estate property can be designated as a percentage, a fixed amount, as residue of property after all other bequests have been fulfilled, or as a contingency if other beneficiaries in your Will pre-decease you. Charitable bequests provide an opportunity to express gratitude for God's gifts, and the financial security of knowing your assets remain available during your lifetime. A will is the easiest and most effective means to ensure that your assets are distributed according to your wishes. Many people have remembered Christ the King in their will while still providing for their families and loved ones. Our official name is CHRIST THE KING PARISH OF SPRINGFIELD, ILLINOIS. Making a gift of appreciated stock is one of the most advantageous forms of giving with an opportunity to avoid taxation of capital gains. If you have stock that has earned long-term capital gains, your gift to Christ the King Parish will help you avoid a substantial capital gains tax while still benefiting the parish ministries. Christ the King can be named as the beneficiary, or partial beneficiary, of your insurance policy. If you have a life insurance policy that you may no longer need, the gift of a life insurance policy can be an ideal way to fulfill charitable objectives and receive tax advantages. An irrevocable gift of life insurance may be appropriate when the growth of your assets or the reduced needs of your dependents make the policy unnecessary. Receive an income tax deduction when you name CTK as an irrevocable beneficiary or owner of a life insurance policy. Gifts of appreciated real estate are similar to gifts of appreciated stock. If you have owned the real estate for 12 months or more, you will avoid capital gains taxes and may deduct the fair market value of the real estate. An arrangement in which property or money is donated to the Church, but the donor (called the grantor) continues to use the property and/or receive income from it while living. The beneficiaries receive the income and the Church receives the principal after a specified period of time. The grantor avoids any capital gains tax on the donated assets, and also gets an income tax deduction for the fair market value of the remainder interest that the trust earned. In addition, the asset is removed from the estate, reducing subsequent estate taxes. For IRA owners who are required to take annual distributions, the IRA Charitable Rollover allows donors over age 70½ to make a charitable gift and not pay income tax on the distribution. Donors must transfer the IRA distribution directly to the parish. The Charitable Gift Annuity (CGA) is an ideal way to make a gift to the Church, earn income from your gift and avoid taxes, all in one simple process. A CGA is an agreement in which you contribute a gift of cash, securities, real estate or other assets in exchange for a fixed income for the rest of your life and/or the life of your spouse or another loved one. Income payments can begin immediately or can be deferred to a future date. One and two life gift annuities are available. Guaranteed Lifetime Income – at attractive rates of return. Charitable Deduction – a significant tax deduction for your gift. Tax-Free Payments – a large portion of each payment is tax-free. Capital Gains Savings – create a CGA with appreciated assets and reduce the capital gains tax. Personal Satisfaction – of supporting your parish, school or favorite ministry. Do you have a Certificate of Deposit that may be reaching maturity? Consider the advantages of converting a CD to a gift annuity. Using savings, money market accounts, and treasuries to fund a Charitable Gift Annuity may also work to your financial advantage. Remember that a Charitable Gift Annuity is an irrevocable gift, which allows for the benefits of the charitable deduction and tax-free income. Cash contributions are deductible as an itemized deduction in the year a gift is made; up to 50% of your adjusted gross income. Excess charitable deductions can be carried forward for five additional years. Some employers offer matching gifts to non-profits. 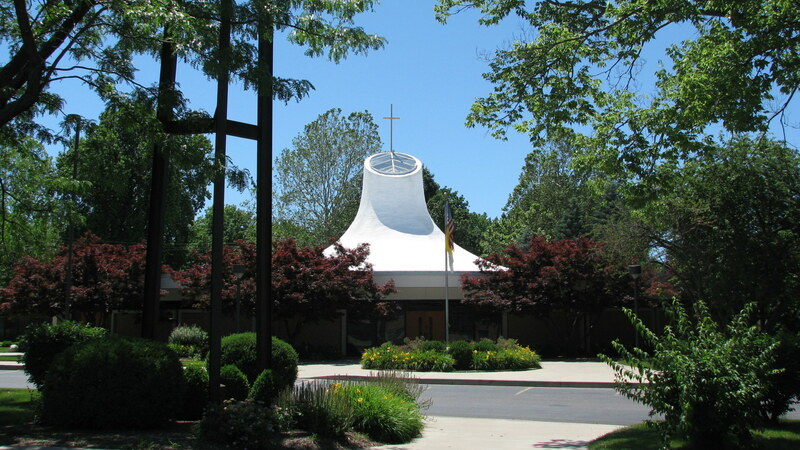 CHRIST THE KING PARISH OF SPRINGFIELD, ILLINOIS is a 501(c)(3) tax-exempt organization. please consult an attorney, tax professional or investment professional.